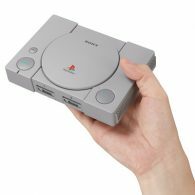 In September, Sony announced the PlayStation Classic, a mini version of the original PlayStation, which comes with 20 pre-loaded games. Only a handful of games were announced for the retro console, but today, the full list of games have been released, and includes Metal Gear Solid and Grand Theft Auto. The PlayStation Store chart for June 2018 has been released, showing the top selling games in Europe last month. On the PS4, FIFA 18 was the top selling title, likely due to World Cup fever. Last month’s top seller, Detroit: Become Human, dropped to tenth in the chart, and God of War continues to hold the third position. 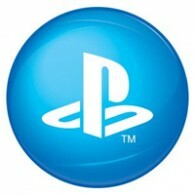 The PlayStation Store chart for May 2018 has been revealed by Sony, detailing the top selling digital titles last month. 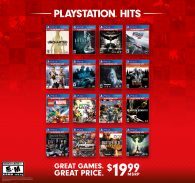 After just six days on sale, Detroit: Become Human was the top selling title on the PS4, pushing down the previous top seller, God of War, down to third place. Sony has released the PlayStation Store chart for April 2018 in Europe, and it’s no surprise what the top selling title was. God of War was the number one seller in April, breaking the record for the quickest selling first-party PS4 title. The previous number one, Far Cry 5, dropped to second place. The PlayStation Store charts for Europe have been revealed, revealing the top selling titles in April 2018 in Europe. The PS4 has two strong debuts last month, with new release Far Cry 5 topping the chart, followed by another newcomer A Way Out. Sony is showing some serious love to the PlayStation VR headset, revealing more than 30 VR games expected to release on the PS4 over the next three months. 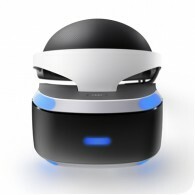 If you own a PlayStation VR or thinking about getting one, there is plenty to be excited about. Check out the list below. The PlayStation Store charts for Europe have been released, showing the top downloaded games in February 2018. On the PS4, FIFA 2018 was the top downloaded title, climbing three places since last month. The previous top seller, Monster Hunter: World, dropped one place to finish in second place. The PlayStation Store Chart for Europe has been released, revealing the top selling games in january 2018. 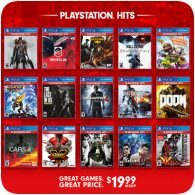 On PS4, Capcom’s epic beast-battler Monster Hunter: World tracked down the #1 spot, followed by Horizon Zero Dawn, thanks to a price promotion.